Charming, Old Florida cottage, nestled in native landscaping. 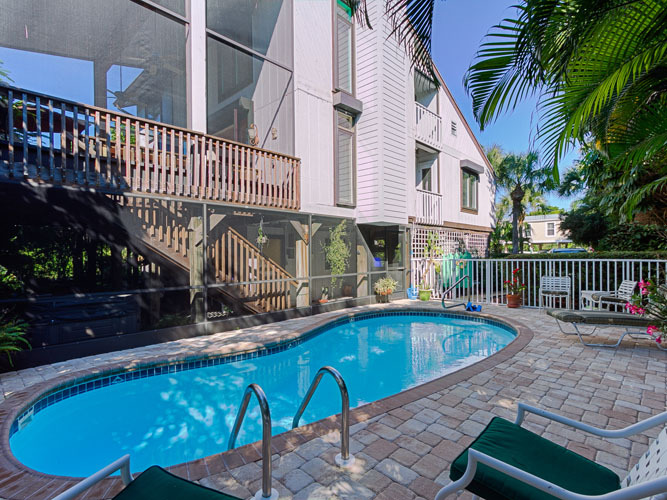 Situated in the “Village” and close to great island amenities. Floor plan features 4 BR/2 BA; pickled oak ceilings; Anderson windows; 2 wood-burning fireplaces; sparkling salt water, fenced and heated pool; hot tub; downstairs studio; outside shower; Mexican tile floors; 2-story screened porch off living room; double carport and an abundance of storage spaces. Easy stroll to the Gulf of Mexico and beach.